Yet More Fukushima Funnies - "Okay, we have a problem..."
More from the Japan Times on the Fukushima disaster. 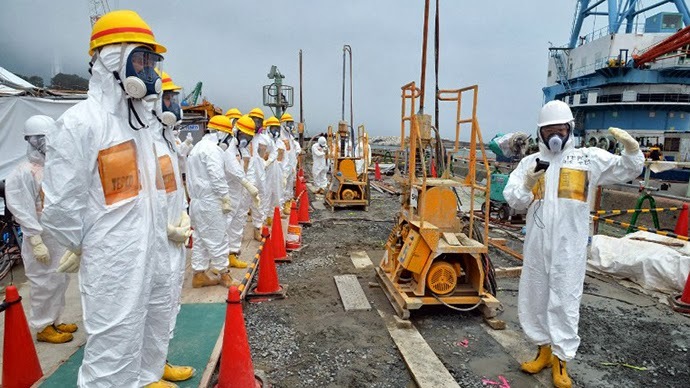 "The stricken nuclear power plant at Fukushima has probably been leaking contaminated water into the ocean for two years, ever since an earthquake and tsunami badly damaged the plant, Japans chief nuclear regulator said on Wednesday. Until recently, Tokyo Electric, known as TEPCO, flatly denied that any of that water was leaking into the ocean, even though various independent studies of radiation levels in the nearby ocean have suggested otherwise."